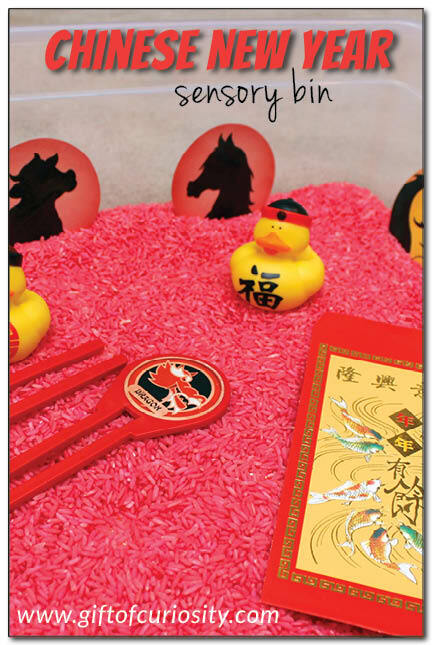 Last year I organized a Chinese New Year party for a group of families in our area. The party included crafts, food, and singing. 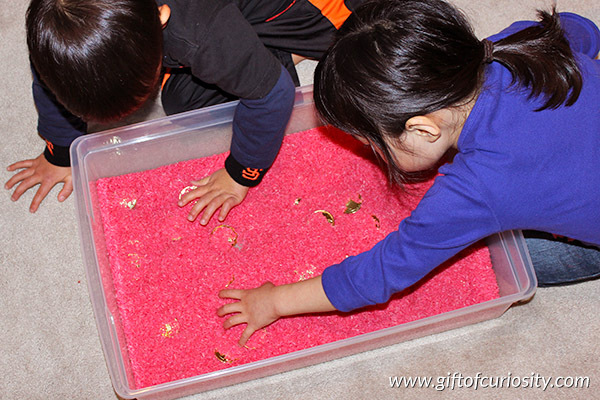 But since we had plenty of little ones at the party, I also created this Chinese New Year sensory bin to keep them entertained. 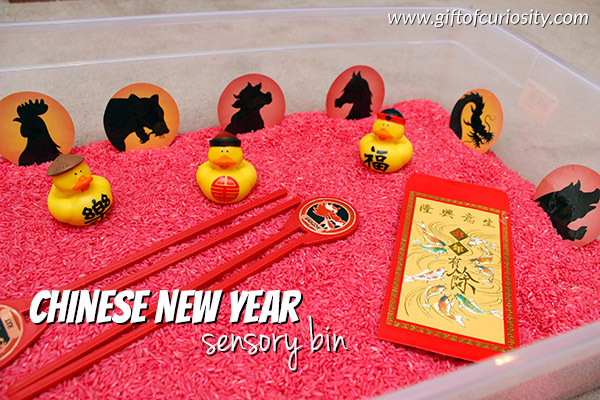 This bin turned out to be a huge hit at the party, not only for the little kids but even for some of the kids ages 6-10! 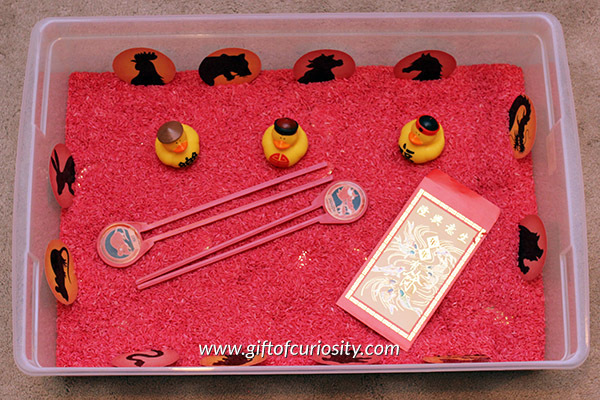 My kids helped me bury some plastic Chinese coins in the rice. The bin was beautiful, and got so much use at the party. In fact, half the rice had spilled out by the end!